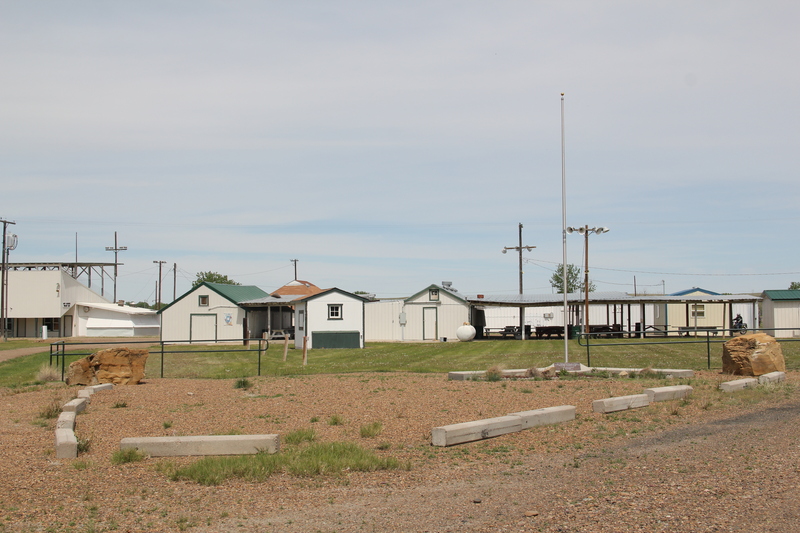 County fairgrounds may be the single most important place where rural and small-town Montanans gather every summer to celebrate community, achievement, and heritage. Young and old take delight in the exhibits, rides, food, concerts, and rodeo. Families gather and reinforce their common sense of identity and purpose. Historians and preservationists need to do more with the fairgrounds as a significant historic landscape. Over the next several postings let’s explore the historic fairgrounds of the Hi-Line. The Phillips County Fair in Dodson is the state’s longest continuously operating county fair. According to a research paper prepared by high school students Jade Olson, Sam Petersen, and Abija Rhodes and published on the web in 2011, the fair grew out of an earlier Great Northern Railroad-supported effort to annually showcase the year’s harvest by means of an agricultural fair (dating to 1891). The fairs were meant as a demonstration that the demanding land of the Hi-Line could produce valuable agricultural commodities. 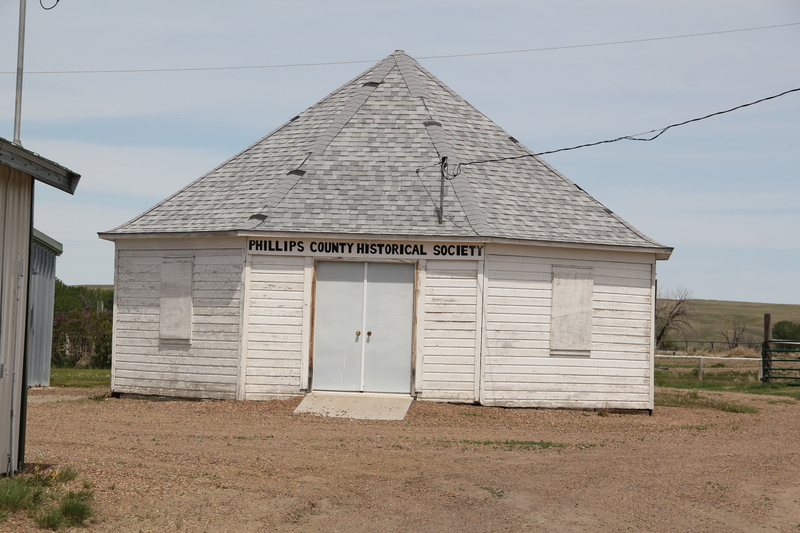 With the creation of Phillips County, the new commissioners agreed in 1915 to take over the earlier agricultural fair and in October 1916 the inaugural Phillips County Fair took place. 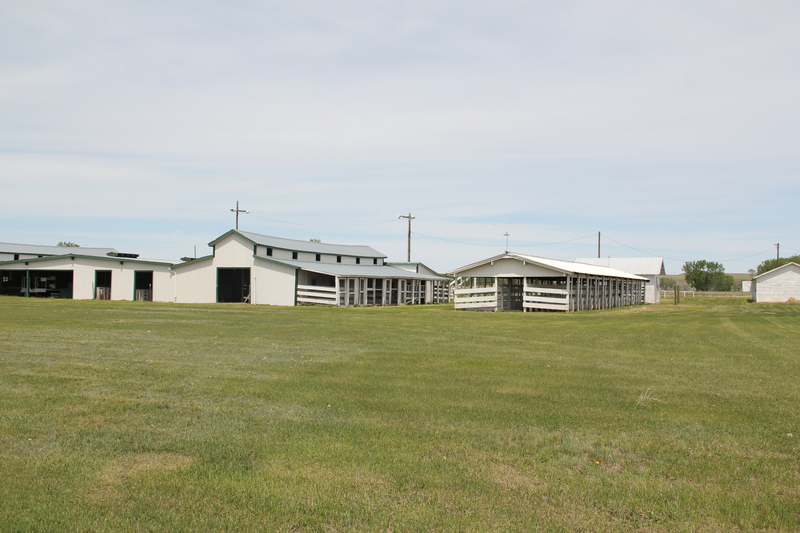 Edgar Lee was the first fair president, and he held the post to 1949–a 30-year reign where he worked with the community to build a tradition that not only highlighted crops and livestock but entertained. Certainly the rodeo came to dominate the annual fair, but this fair always offered something for almost everyone. There were concerts, daredevil pilots doing aerial stunts, Native American battle re-enactments, and carney rides of all sorts. Trade magazines of the 1940s and 1950s recognized the Phillips County Fair as one of the biggest small-town festivals in all of the west. A 1946 account in Billboard Magazine noted that the 40-acre fair site had exhibit buildings worth $10,000, a grandstand that could seat 2,000 (and noted plans to enlarge the grandstand), and a half-mile race track. After Lee’s retirement from the fair board, facilities continued to expand with the grandstand expanded to its present size in the 1950s. As the country music industry expanded its touring acts, famous performers took their turn on the Phillips County fair stage from the 1950s to today. This year rising star Gwen Sebastian performed–Toby Keith also once played the fair. With that brief background sketch in mind, what do you find at the fairgrounds today? To my eye, you find a very intact mid-20th century fairground landscape, impressive by the obvious stewardship of the community and the unadorned aesthetic of the wood frame, painted white buildings. 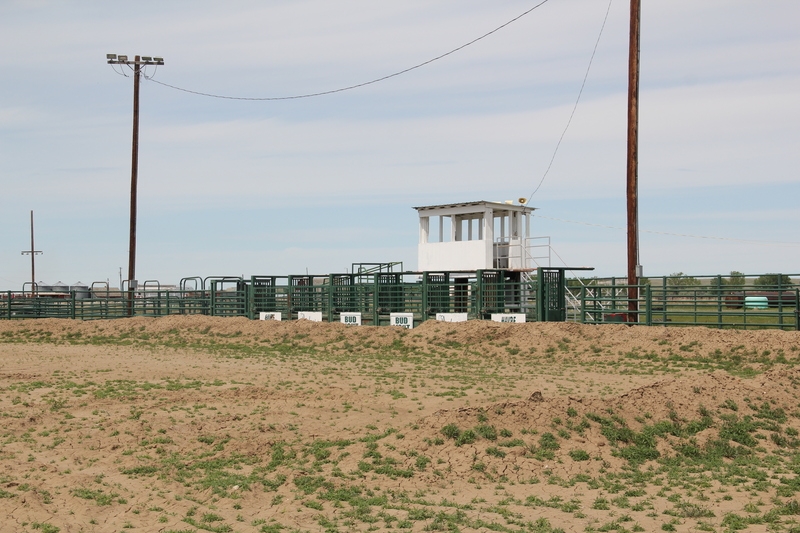 The race track is still there but now the rodeo is the key event of the fair as shown in this image of the historic chutes. . 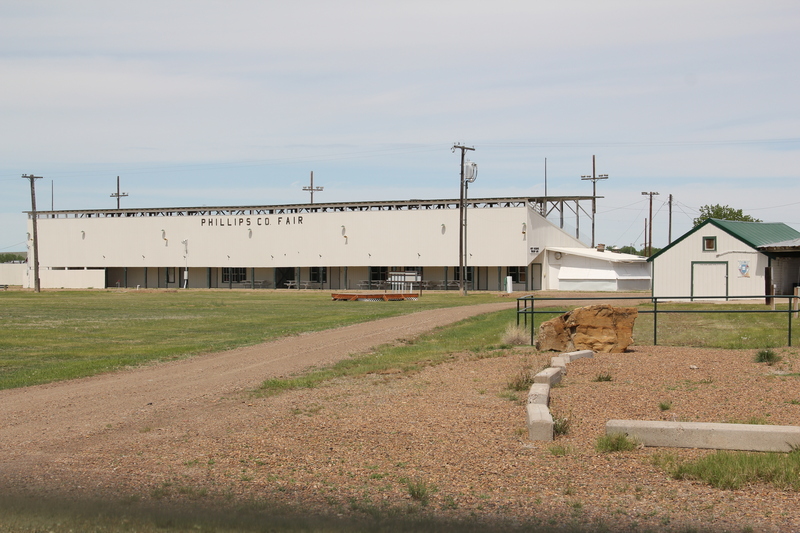 The grandstands and related structures dominate the fairgrounds. But many other buildings contribute to the historic sense of place. 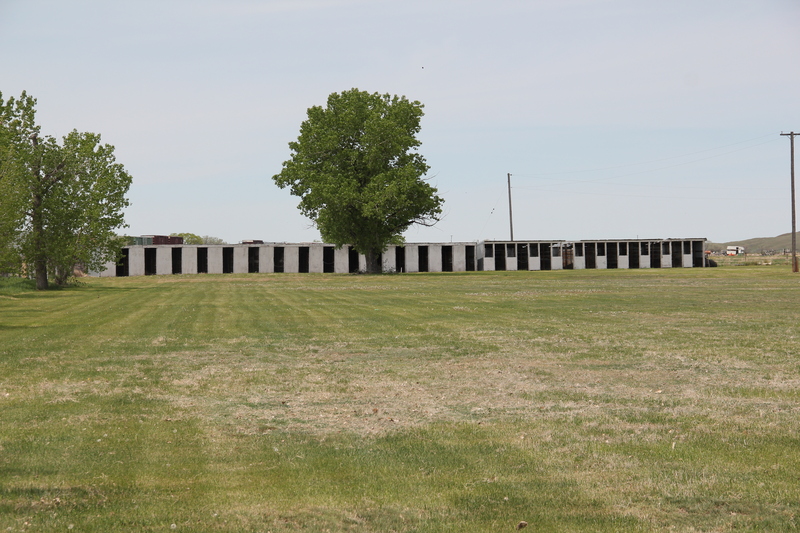 The octagonal-shaped exhibit building for the county historical society stands at the center of the fairgrounds, a reflection of the pride in heritage shared by the community. 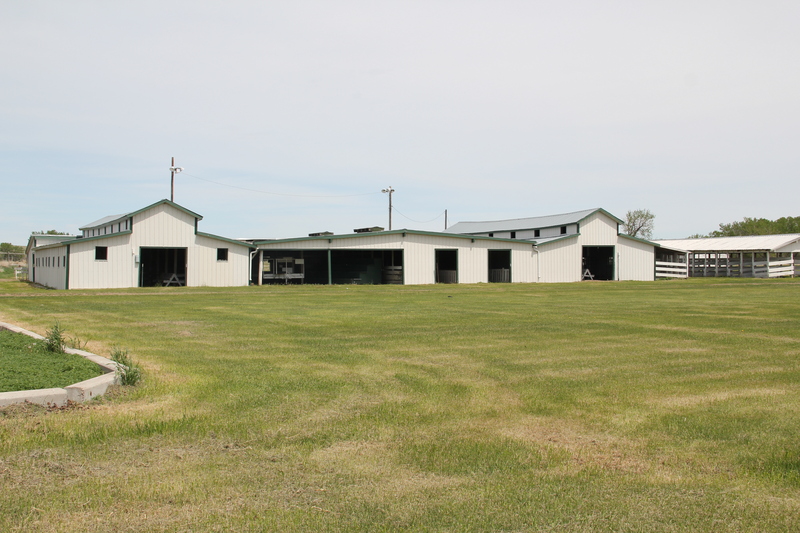 Also impressive is the condition of the livestock barns and associated exhibit areas. 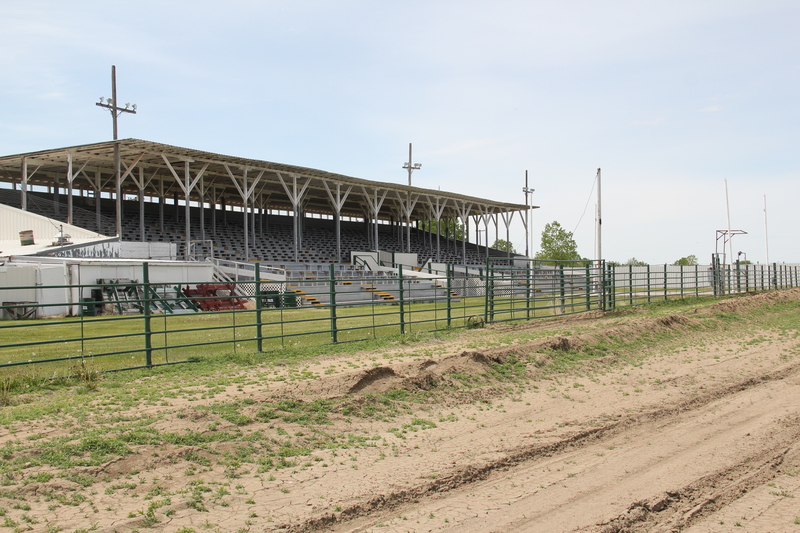 Located on the north side of the Great Northern tracks, which are also north of U.S. 2, most travelers probably never notice the historic fairgrounds. The tall block of the grandstands face the tracks, meaning that railroad travelers can’t really miss noticing the grounds–and of course when the fairgrounds started, its audience came by horse, buggy, wagon, and rail–few depended on autos. 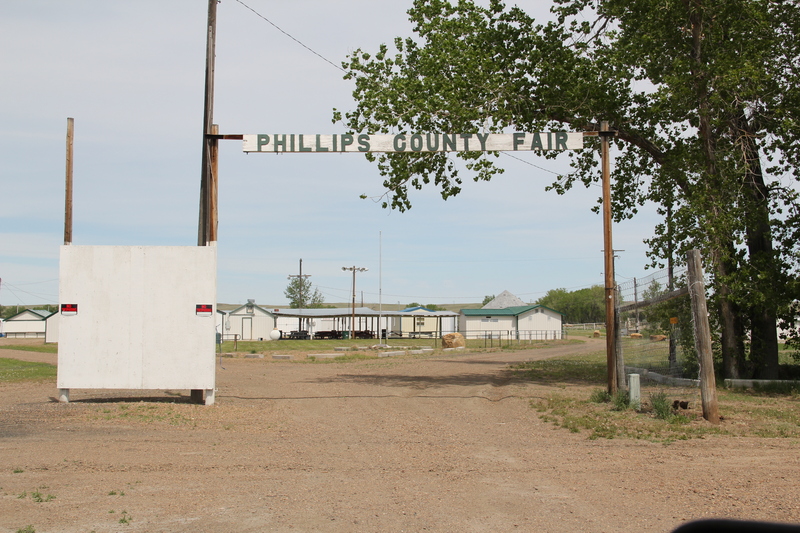 The Phillips County Fair nears its 100th anniversary–the buildings, and the stories and traditions embedded in them, are a remarkable heritage testament in this tiny Hi-Line town. This entry was posted in Uncategorized and tagged Dodson, Fairgrounds, Montana, Phillips County, Phillips County Fair, Rodeo by carrollvanwest. Bookmark the permalink.